Remember when we went to the market a couple weeks back and I purchased a few sprouted seedlings? Well it may come as no surprise that I planted them. Since these plants are larger it was really important to get them their cages ASAP. I normally wait when I put seedlings in when they are very small, but these were already fairly large plants and I didn’t want to hurt them later trying to get the cages around them. The reason for placing cages around the tomatoes is that the fruit they produce is very heavy and the bases of them and limbs are not strong enough on their own to hold the fruit off the ground. If you don’t cage them you will get saggy plants and rotten, insect eaten tomatoes and I am sure that is not why you planted tomatoes in the first place. So if you are putting in those tomato plants right now, which I assume most of you are or have then you should make sure you have some kind of support system in place for your little guys. 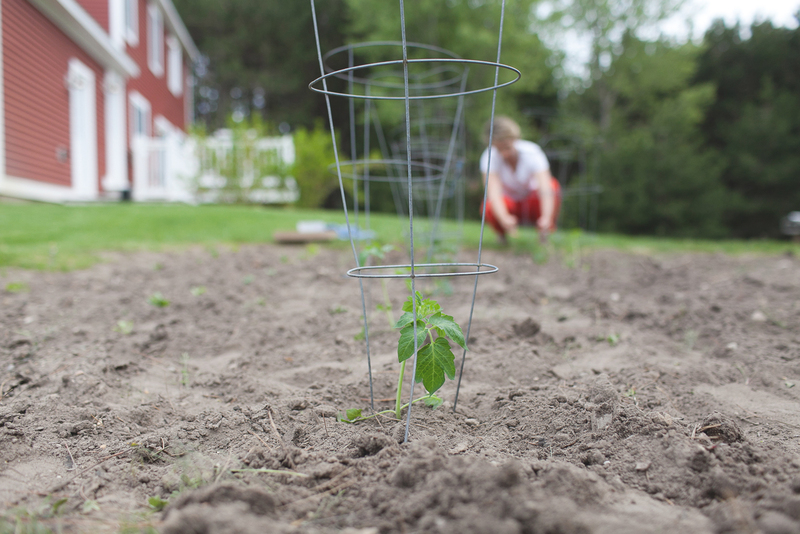 Whether you pick up a slew of cages at the garden store for a few cents a piece or if you begin tying them up to lines and stakes it does not matter. The cages are the easiest to work with I think. Throughout the season I do begin tying up their limbs as well and watch their weak points so they can produce the most fruit as they can. One last tip. When you are planting your seedlings they will look sad, don’t fret. I highly suggest planting your plants later in the day when the sun is beginning to set and then once the sun is low and give them a good watering with a sprinkler or if they are on your porch use your watering can. They will come right back to life. 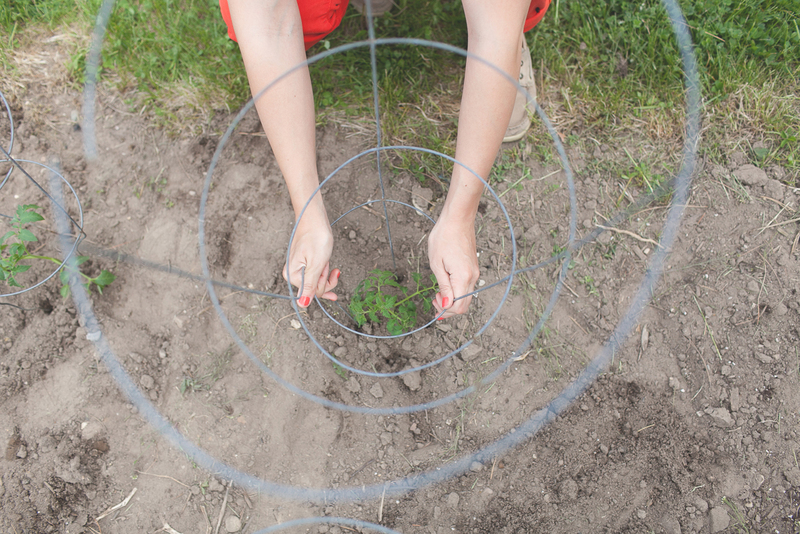 Tomato plants are not very hearty and can be touchy so don’t feel you have killed them. Also make sure you have placed the plants in a place where they get good sun but not TOO much. It says full sun but what I have found is that if they get way too much and on really hot days (over 90 -100 degrees) you will not be happy with the fruit they produce. Keep them well watered in an area where they will be able to stay comfortable but still warm with sunshine. If you live in a warm place it may be best to keep your tomatoes in containers that are easy to move in to the shade on hotter days. For us we the weather never gets much above 90 (maybe once or twice a year) so we can keep them in the sunniest spot of our yard and in fact if we don’t the fruit never turns red and ripens so they need as much full sun as they can get. Make sure you keep them well watered as well (morning and sunset). We run the sprinkler on our garden once tomatoes go in at least once a day. Once it is really warm we run it twice a day. This helps from keeping them mealy tasting. They will be sweet and sweet. This week we will also be talking about putting together a raise bed that we are using for our lettuce and herbs and we also have prepped our portable lettuce and herb containers so those of you who have small spaces we have solutions that are not just for those living in the woods. PS. please excuse my terrible roots going on in these photos…don’t worry I am heading in for a touch up next week…phew! I had no idea how bad it was till I saw these photos. Good luck with your tomatoes, can’t wait to see them big! Ours are so big already, they’re out of their cage.. and we’re putting their next cage on top…. they get so big we put 2 cages on top of each other! Wild monster tomatoes – I love them! we went out of town this past weekend and i totally forgot about my poor tomato sprouts on the back table in their eggshells. they have all shriveled up 🙁 i am still watering them though hoping to revive them but i doubt it will work! 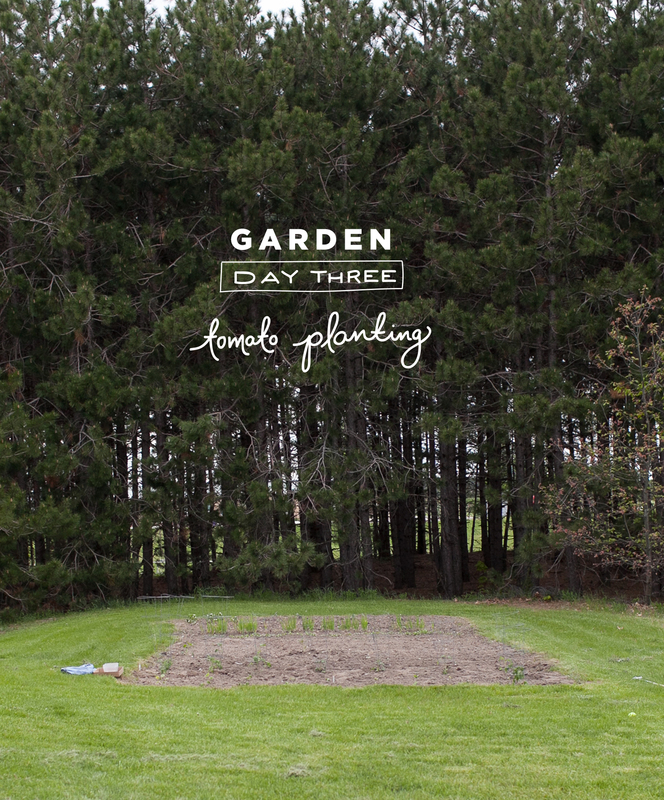 still loving your blog + garden tips. thanks a bunch! 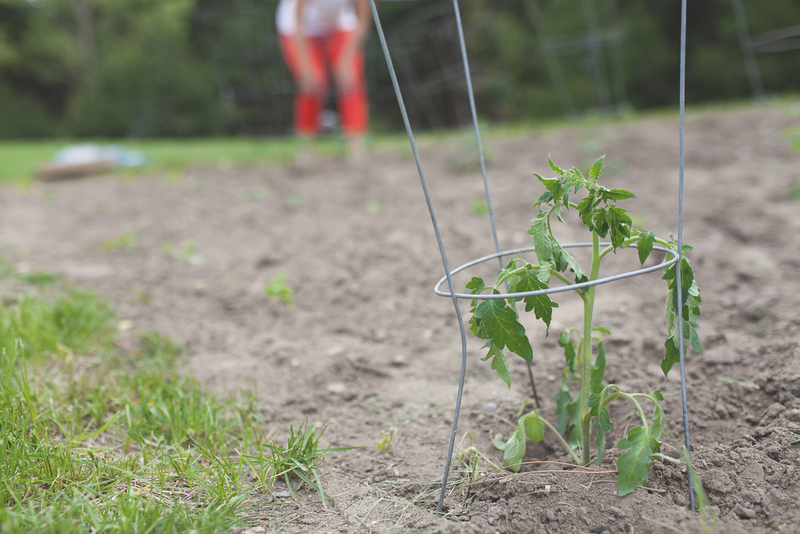 I read that if you plant the tomato plant sideways the stem will grow roots and it will make a more firm foundation to hold up the tomatoes. Do you happen to know how creditable that is? I was considering trying it instead of getting a cage. wow, it is so perfect again! I use only stick and string. next year I will try this. This is awesome! My tomato plants (that I grew from seeds!) are doing well so far, and I recently got them up on some stakes. Thankful for these tips!